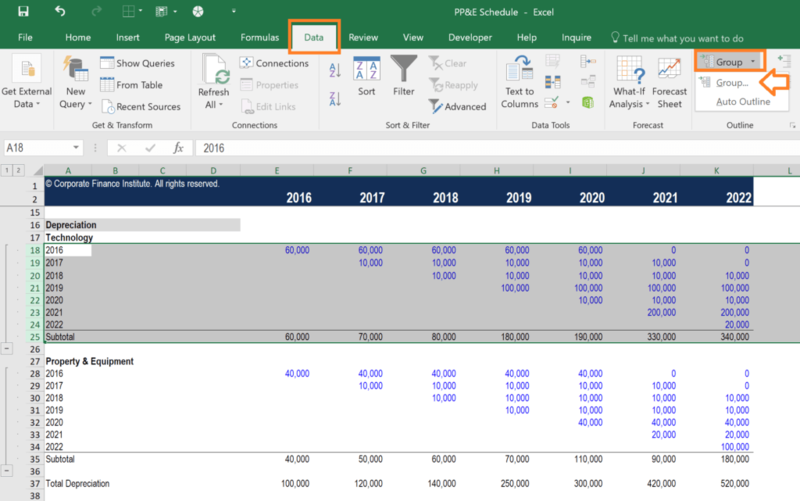 Grouping rows and columns in Excel is critical for building and maintaining a well-organized and well-structured financial modelTypes of Financial ModelsThe most common types of financial models include: 3 statement model, DCF model, M&A model, LBO model, budget model. Discover the top 10 types of Excel models in this detailed guide, including images and examples of each. Financial modeling is performed for many reasons including to value a business, raise money. Using the Excel group functionFunctionsList of the most important Excel functions for financial analysts. This cheat sheet covers 100s of functions that are critical to know as an Excel analyst is the best practice when it comes to staying organized, as you should never hide cells in Excel. This guide will show you how to group in Excel with step-by-step instructions, examples, and screenshots. The Excel group function is one of the best secrets a world-class financial analyst uses to make their work extremely organized and easy for other users of the spreadsheet to understand. The function is found in the Data section of the Ribbon, then Group. Let’s look at a simple exercise to see how it works. Suppose we have a schedule in a worksheet that is becoming quite long, and we want to be able to reduce the amount of detail that’s shown. The screenshots below will show you how to properly implement grouping in Excel. You can repeat the steps above as many times as you like, and you can also apply it to columns as well. Once you’re finished, you can press the “-” buttons in the margin to collapse the rows or columns. If you want to expand them again, press the “+” buttons in the margin, as shown in the screenshot below. There is also a “1” button in the top left corner to collapse all groups, and a “2” button to expand all groups. Though many people do it, you should never hide cells in Excel (or spreadsheets either, for that matter). The reason is that Excel does not make it clear to the user of the spreadsheet that cells have been hidden, and thus they may go unnoticed. The only way to see that cells are hidden is to notice that the row number or column number suddenly jumps (e.g., from row 25 to row 167). Since other users of the spreadsheet may not notice this (and you may forget yourself) you should never hide cells in Excel. 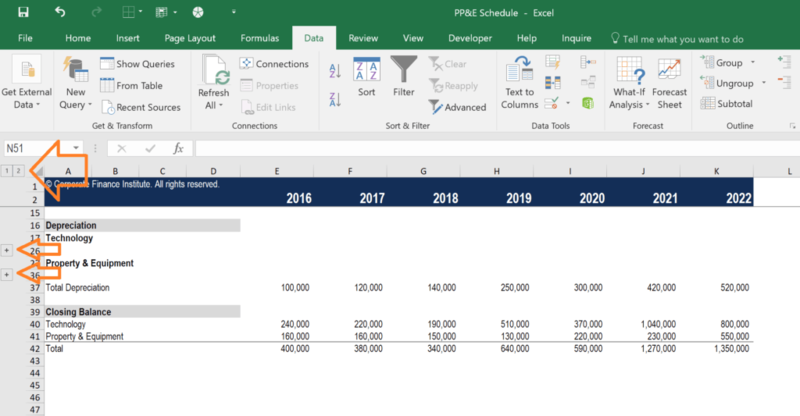 You can download the above Template for free if you wish to use it as an example or starting point for how to group in Excel and apply it to your own work and financial analysis.